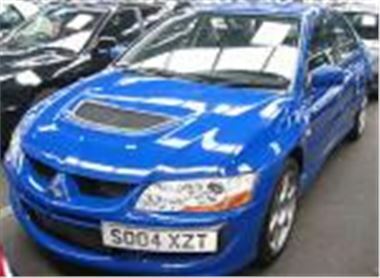 This year old 12k mile EVO VIII in a very nice blue sold for a sensible £16,400. Rovers were pocket money prices. A 29k mile 99V 75 1.8 Connoisseur in Wedgwood blue sold for £2,800, a 40k mile 2003/53 reg 25 1.6iL bid to £2,650, another with 49k bid to £2,600 and a third but 03 reg with 53k miles bid to just £2,250. Yet someone wanted a 14k mile 04 reg MG ZR 1.8 120PS so much they paid £4,600 for it. Two ex-Motability small MPVs virtually followed each other. The 1,347 mile 04 reg FIAT Idea 1.4 Eleganza bid to £6,100 and the 487 mile 05 reg Renault Modus 1.6 Privilege auto bid to £8,900. A 28k mile 03 reg LandCruiser 3.0 D-4D auto 7-seater sold for £17,300, a 65k mile 02 reg Nissan patrol 3.0DI SVE auto bid to £12,700 and a 23k mile 2003/53 Mitsubishi Shogun 3.2 DI-D Field LWB auto with leather bid to £16,000, which seems to suggest a slight softening of values of big diesel 4x4s. Big LCV sale tomorrow with plenty of pickups being lined up for bidding. Full lease, finance and part exchange auction on Friday with sections from Citroen, Hitachi Capital, Jardine, Autolease, Interleasing, Motability, Vauxhall Leasing and Inchcape. Ford ex-rental sale open to everyone next Tuesday 21st June. As always the best way to look for a specific car coming up at auction or to pre-check a day’s sale is to visit www.auctionview.co.uk If you are a BCA account holder this service also now gives composite price information (average auction price, CAP and Glass’s) and now allows you to buy a selection of cars directly on-line.